Categories: Monuments and Memorials | Tags: Beckwith Township, Llandovery Castle, Nursing Sisters, Women in WW1, WW1 memorials | Permalink. Categories: Monuments and Memorials | Tags: Collingwood, First World War, Llandovery Castle, Nursing Sisters, Women in WW1, WW1 memorials | Permalink. 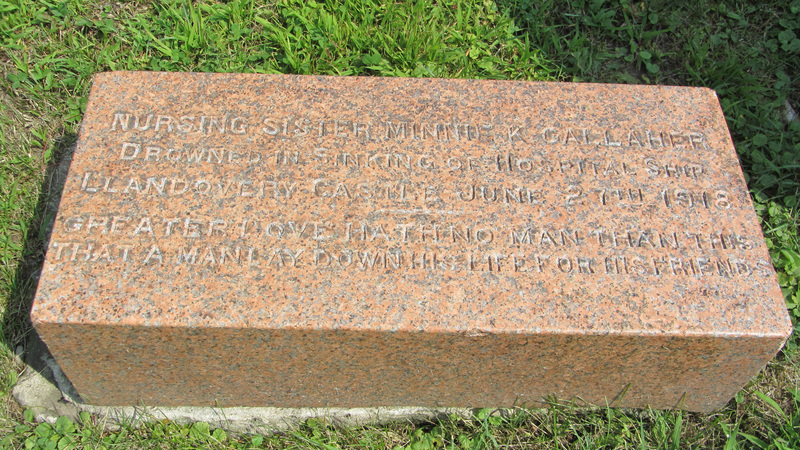 Categories: Monuments and Memorials | Tags: First World War, Llandovery Castle, Nursing Sisters, Ontario Military Hospital, Queen's Park, Toronto, Women in WW1, WW1 memorials | Permalink. Minnie Gallaher was one of 14 nursing sisters killed on June 27, 1918, when a German submarine torpedoed the hospital ship HMHS Llandovery Castle and its lifeboats. The sinking was the largest Canadian naval disaster in WW1 (counting the number of deaths) and became a rallying cry in the Last 100 Days offensive. Finding the Forty-Seven, Debbie Marshall’s blog to honour the Canadian nurses who died while serving in WW1, is well worth a look. 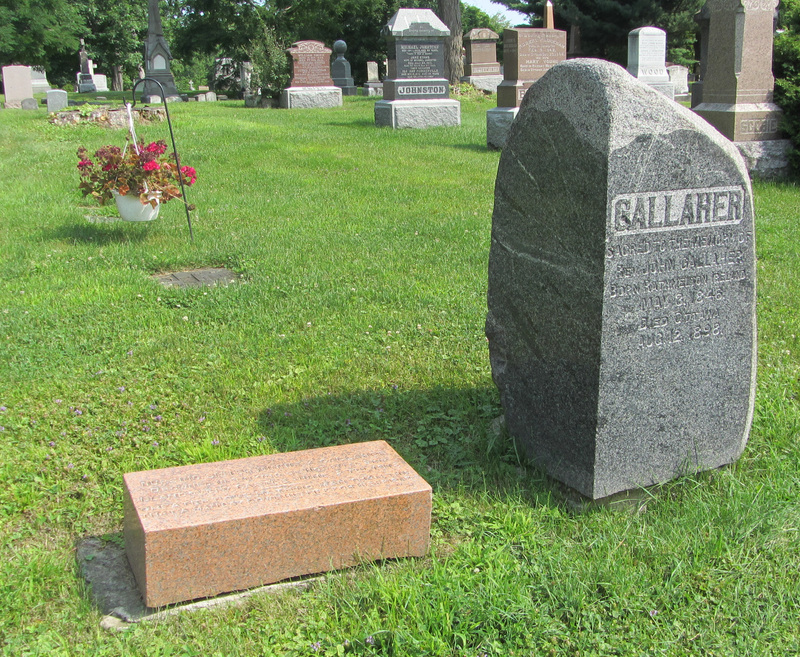 Categories: Monuments and Memorials | Tags: Beechwood Cemetery, Llandovery Castle, Minnie Gallaher, Nursing Sisters, Ottawa, WW1 centenary | Permalink.